Please Take Action Nosey the Elephant Needs Your Help Now. Please read the following from PETA and take action by sending a message to Howard’s Flea Market and the USA Flea Market urging them to make the prudent and compassionate decision never to host Liebel again. Please join PETA in urging Howard’s Flea Market and the USA Flea Market never to host Nosey again! There is a template letter which you may edit but if for some reason this is not possible please send as it is. The campaign to end the suffering of this poor elephant continues with the latest action above. Why this poor suffering animal is not removed from this abusive situation and sent to a sanctuary I cannot understand. Please Sign Urgent Petition: Stop a Woman From Being Stoned to Death in Saudi Arabia! Please sign and share this urgent petition, this sentence could be carried out in only a few days. “A poor unnamed Sri Lankan housemaid with no powerful government backing her and no other means to save her own life from capital punishment in Saudi Arabia will be stoned to death. Perhaps in the next few days. Only world outrage might save the housemaid. Please share widely the more signatures the more hope there is of a change of heart. Every signature counts. Please help save this unfortunate woman’s life. The death sentence is never an acceptable punishment and in most countries worldwide what this woman did would not be considered a crime. Jo Hutto referring to Turkeys who lived amongst for one year in the forests of Florida. “Each time I joined him he greeted me with his happy dance, a brief joyful display of ducking and dodging, with wings outstretched and a frisky shake of the head like a dog with water in his ears. Occasionally he would jump at me and touch me lightly with his feet. His anticipation and enthusiasm made it difficult for me to refuse him. The following video is a commercial but nevertheless makes a powerful statement. Please watch, you will not be disappointed, and hopefully if you’re a meat eater and consume turkey or other poultry or indeed any meat at Christmastime you may reconsider. Terry the Turkey ad is further proof that kindness sells. Read more from Animals Australia. Turkeys are fascinating birds, and like all animals, they deserve to be kept off the table this (and every) Christmas. Please watch the following video from Vegetarians International Voice for Animals VIVA which shows the suffering behind the traditional Christmas dinner. If you believed the TV adverts, you’d be forgiven for thinking that Bernard Matthews turkeys enjoyed Christmas like the rest of us. Of course, nothing could be further from the truth. In the early 2000s, Viva! filmed undercover three years in a row at Bernard Matthews sites. This year we returned to see if anything had changed. It hasn’t, turkeys are still crammed into massive industrial sheds and are sent to slaughter at a fraction of their natural lifespan. Be sure to scroll down and watch the videos including the one about Paul the Turkey. A disturbing video. Read more and watch the videos – Turkey, pigs, cows, fish- and please pledge to stop eating meat not only at Christmas but all year. The truth about turkeys from Animals Australia on Vimeo. If you are not into cooking here are some suggestions for vegan Christmas snacks you can get in your supermarket. The following video will make you see turkeys in a new light as intelligent sentient creatures capable of affection, self aware, curious and fun loving. The EU are about to organise the massacre of thousands of grey Squirrels!!!!! What right has the EU, or anyone else for that matter, to decide which animals should live and which animals should die. “Politicians from the European Union have introduced a new law obliging the United Kingdom, Ireland and Italy to organise the killing of hundreds of thousands of grey squirrels, every year from 2016, using methods that include poisoning, bludgeoning to death or trapping and shooting . This horrid and inhumane “programme” is to be sponsored from the money of taxpayers from all EU countries. Please sign Now! More action ideas further down. Please join the FB page opposing the organisation of this massacre so that you can be informed about the day-to-day progress of the action. “Native to North America, the grey squirrel was brought to Victorian Britain as an ornamental species by the aristocracy. today, these highly intelligent and adaptable animals can be seen in woodlands, parks and gardens across the country. 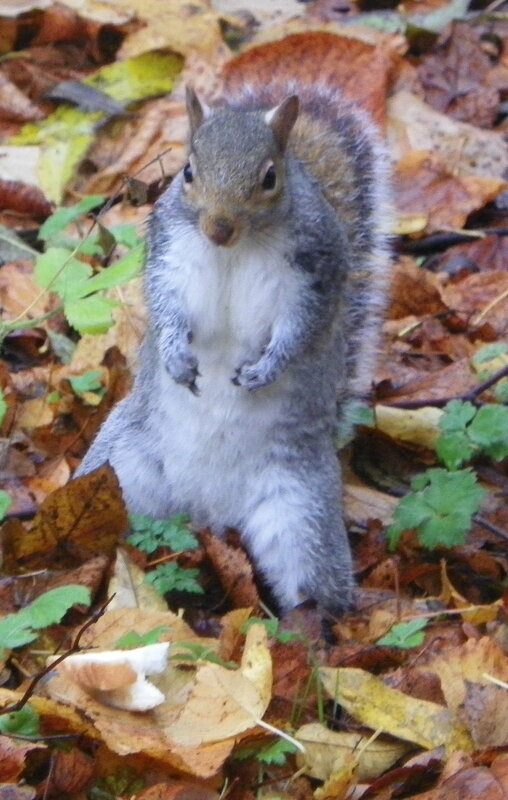 While many people have great affection and respect for grey squirrels, they are hated by members of certain groups, most notably those with shooting or forestry interests, and some ‘conservationists’ who believe that the mass killing of greys is justifiable in their quest to boost the number of red squirrels. 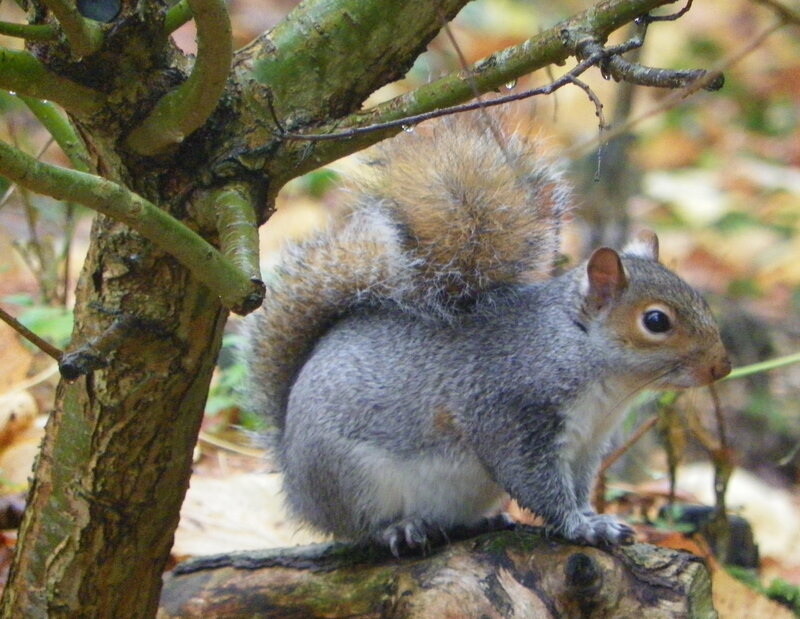 What is even worse is that the European Union is introducing a new law obliging the United Kingdom, Ireland and Italy to organise the killing of hundreds of thousands of grey squirrels, every year from 2016. It is time to leave these defenceless animals alone, they are now a part of our environment, they are a part of nature, they are sentient beings with as much right to live in the world as you or I or the more favoured red squirrel. Please take action and share share share. You do not have to live in the EU, atrocities against animals is of concern to ethical people everywhere, the injustice of animal abuse and the wanton murder of helpless beings is the responsibility of all decent caring people worldwide. There is no place in a just society for the mass killings of other species simply because they are deemed an inconvenience. We will never have a peaceful world until we stop treating animals as though they are expendable, as though their lives do not matter. We are not the lords of the entire damn universe, we do not have the right to decide who should live and who should die. Culling ( killing, murdering) animals is grossly unethical, it is a crime against nature. Grey squirrels are amazing creatures. Clever little creatures they are so adept at stealing food put out for birds. 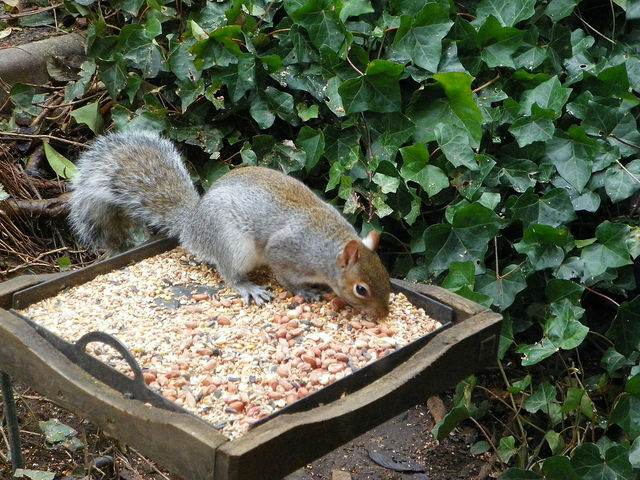 I have seen the squirrel below tip up a bird feeder and sake the seeds loose. The three photographs including the one at the top are among those my husband and I have taken recently. Technology instead of producing the once promised “better world” has instead been abused (predictably enough) to increase the profits and power of the few at the expense in all sense of everyone else. Instead of a world were everyone works less and has a better quality of life – and the financial resources to have a real life – we instead have ever fewer people working ever longer and for decreasing pay. And automation has a major role in this. Thousands of jobs in the UK alone – and many more worldwide – are being lost to automation. It is so out of control that some shops now have nobody working the tills for much of the day. Shops where I no longer “shop”. This trend is not sustainable. Fewer and fewer people able to find suitable work leads to fewer and fewer ‘customers’ which means more business failures and so on. This shouldn’t have to be pointed out but such a basic concept seems to be too difficult for some to grasp. While this ridiculous state of events lasts – and worsens – more and more people will be suffering. Bullied to find work that simply is not there, left with little or no money for food, clothing and housing – or any kind of life – because of a lack of a sufficient wage, or any wage, or because of welfare cuts by governments determined to bully, exploit, or – it has to be said; exterminate people who don’t or can’t conform to their profit and power hungry agenda. I adamantly refuse to use self-service checks outs and if that is the only option I will walk out without making a purchase. When approached and asked to use a self-service checkout I will explain to the assistant that doing so contributes to unemployment. I am more often than not met with a blank stare which may indicate that previously this may not have occurred to this person. But the fact is when an employee of a store encourages customers to use automatic checkouts they are in effect talking themselves out of a job, the same applies to banks and the post office. In my nearest city Barclay’s Bank was recently entirely automated, at least six or more people now are out of work joining the growing number of people whose lives are made miserable by being bullied by the Job Centre to find jobs that increasingly do not exist. Automation is fine in a just society, it provides more leisure time from the drudgery of work and make no mistake that work for most is a drudgery undertaken merely to pay the bills and put food on the table, if you are lucky that is and earn enough not to need to go to a food bank, which increasingly is the case in recent years. In his book , Economic Prospects for Our Grandchildren, economist John Maynard Keynes argued that with the expected improvement of technology and production in the future we would have more leisure time. He wrote: “For the first time since his creation man will be faced with his real, his permanent problem—how to use his freedom from pressing economic cares, how to occupy the leisure, which science and compound interest will have won.” By the present day Keynes expected that we would be working for only fifteen hours per week. So why is this not happening? Here are some suggestions. If automation can replace the need for people to perform many of the tasks that we do in the work place we would have more leisure time not less as increasingly is the case today. Sadly such a state of progress despite the amazing advancement in technology has not come about and neither will it while the world is ruled by the ideology of greed and the acquisition of profit for the few at the expense of the many and while success is measured by how much money you have in the bank – in short capitalism. While the capitalist system dominates, the progression to less working hours and the even distribution of work will never happen. A new book* of essays by some of the world’s leading economists explores the reasons Keynes was mistaken about a new era of leisure. One possible explanation is that many of us actually enjoy work, despite what we say to pollsters and to each other. To be sure, work can be boring, repetitive or exhausting, but it is also an arena where people get pleasure out of their achievements and enjoy mixing with other people. Some economists argue that we have taken the benefits of our increased productivity in increased consumption. Sociologists argue that busyness has gained status as an end in itself. Psychologists argue that work is more inherently satisfying than we think. For the most part I disagree with the two statements above. The incentive to work , or at least work hard, other than to pay bills is to consume more of the materials things that we are again taught/ brain washed to believe are so vital to life and for which keep people slaving away their existence with the addition of debt which gives the illusion of wealth enslaving them still further to lives of unsatisfying drudgery. Few people even question the status quo, again their minds poisoned against the more fair and more satisfying alternatives of socialism or communism, deliberately confused into the misconception that these economic systems are synonymous to fascism and totalitarian, both of which could be applied to capitalism. The notion that work fulfills our lives as …”an arena where people get pleasure out of their achievements and enjoy mixing with other people.” is is simply not true, at least for the vast majority. Both of these fundamental requirements for a satisfying life are not dependent upon work, with few exceptions most people achieve little from their work either satisfying or financial. It is sad that we cannot envision a life without work or less work, a life where we can be engaged in art and other creative pursuits, where we can cultivate our talents for the betterment of all , where we have time to enjoy the company friends and family . When it comes down to it the reality is most people want more time to themselves and their friends and families. This article shows that even when high wages are on the table that family life comes first. While work has its value, and I envision a future where work will be much reduced though not entirely eradicated, slaving away your existence for greedy money grabbing corporations should be questioned. It should be questioned why automation has only enhanced the lives of the rich with still more money at our expense and is in fact for most a detriment. The only compensation is at the end of the day automation will play a role in the downfall of the capitalist system. After all if few people have a job how the hell can they buy the over priced material crap that they are brain washed into believing they “must have”, the labour of the exploited over worked and under paid few that have a job. When I stopped working to have a child many years ago I admit I did not miss work for one single moment, looking after a baby was work enough. We did not have much money but we managed. Now today for many this is not possible both partners now need to work for the equivalent of one living wage and sometimes not even that. Many users of food banks are couples whose combined wages don’t allow them to live comfortable lives not even to feed their families. In the past hard work was inevitable but today things could be so much better with whatever work that could not be automated fairly shared among those of working age and appropriate health and ability. Naturally some jobs can and will never be replaced, a doctor for instance, but with a fair education system that provides quality education for all, where financial considerations do not count there no doubt would be more people able to qualify for specialist jobs with the consequence of even specialist people having more time, if they want it of course. I admit that some people may find satisfaction in work, though I rather think that very few enjoy and find work fulfilling, I doubt if the person who works eight hours a day on a conveyor belt in a factory turning out surplus goods for basic minimum wages with a zero hours contact, no paid holidays and no rights at work really enjoy their work. Maybe a fifteen hour week is a pipe dream, a fantasy, naivety, who knows. Not in my lifetime that’s for sure when people are working longer hours and work is considered the crowning glory of achievement, when thanks to government Nazi style propaganda you are despised if you are disabled or too ill to work or you cannot find a job because there are so few jobs. Automation could transform your life but right now it can take away what meagre income you have. Until people wake up and come to their senses and oppose the current unfair capitalist system, automation is a detriment. 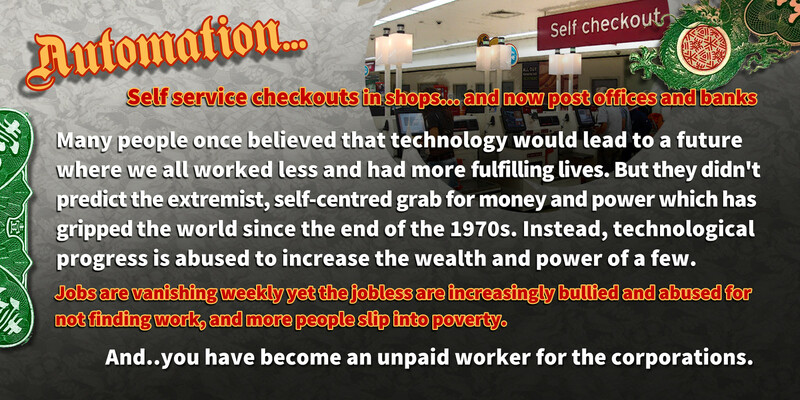 In the mean time people need jobs so boycott shops that provide only self-service checkouts, banks and the post office. If asked to use a self-service check out refuse and explain why. Complying makes you an unpaid worker. Ask yourself why you should get your own shopping – remember in times past self-service supermarkets did not exist – most of which is hugely overpriced and then run it through the check out yourself. More profit for big business at your expense, fewer jobs for people, more unemployment. “As many as 15m jobs are under threat of replacement by smart machines, the Bank of England’s chief economist has warned. Andy Haldane has said that new generation of increasingly creative robots could replace “at risk” jobs over the next 20 years, such as those held by accountants and sales people. “Occupations most at risk including administrative, clerical and production tasks,” he said, noting that “those most at risk from automation tend, on average, to have the lowest wage”. Finally this evil corrupt greedy corporation may be brought to justice for developing and selling deadly chemicals that poison the earth, wild life and of course ourselves and future generations. I hope that finally justice will prevail and this pernicious corporation will be made to pay for its vile crimes against nature. 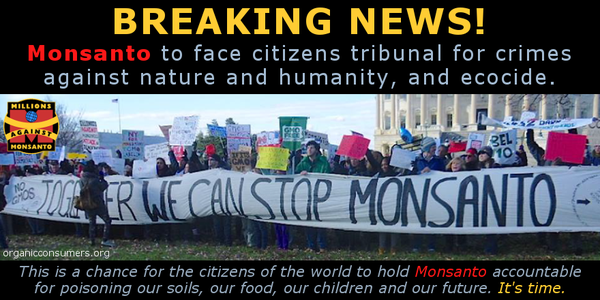 Why has Monsanto been allowed to indiscriminately spread its toxins, its time they were made accountable? Since 1960s with the publication of Rachel Carson’s Silent Spring we have known about the damage to health and the environment by toxic chemicals, fertilisers and pesticides, yet not only does this contamination of our environment continue more and more toxins are added to the list. Colony Callapse Disorder a condition in which honeybees die, disoriented, far from their hives, a threat to much of our food supply which must be pollinated by bees, has been linked to the use of pesticides. All in the name of profit for the few at the expense of the many. When will it ever end. When will we make a stand against these greedy self-severing corporations who care nothing for our world or its inhabitants including other species – including you and I and future generations. • and RoundUp, the most widely used herbicide in the world, and the source of the greatest health and environmental scandal in modern history. This toxic herbicide, designated a probable human carcinogen by the World Health Organization, is used in combination with genetically modified (GM) RoundUp Ready seeds in large-scale monocultures, primarily to produce soybeans, maize and rapeseed for animal feed and biofuels. The word “chocho” has at least four definitions in Spanish language. One of them is “candy”. Chocho is also the name of this beautiful Uruguayan puppy who was born with no eyes, and is as sweet as a candy. Chocho is not a handicapped animal because he has already demonstrated he is able to love, and only the creatures who are unable to love should be considered “the handicapped”. The handicapped are the humans. Never the animals.